In a letter to Representatives Cummings, Neal, Davis and Fitzpatrick, the Federal Workers Alliance — of which the Metal Trades Department is a member — expressed its support for the ALJ Competitive Service Restoration Act. The legislation was introduced in response to President Trump’s Executive Order 13843 that removes federal Administrative Law Judges (ALJs) from the competitive service to excepted service. Outlining the dangers of not addressing the EO, the FWA went on to ask all House members to support the legislation. Washington, D.C. – President Jimmy Hart and members of the Metal Trades Union, AFL-CIO from across the country rallied at the United States Capitol to urge Congress to stand in support of the Metal Trades Union membership across a range of key issues, including the Jones Act, the Philly Shipyard layoffs, and back pay for the government shutdown. Following the rally, members met individually with Members of Congress to discuss the issues and how they affect their work. “The Jones Act has always been one of our most important issues because it keeps our ports secure and Americans at work. 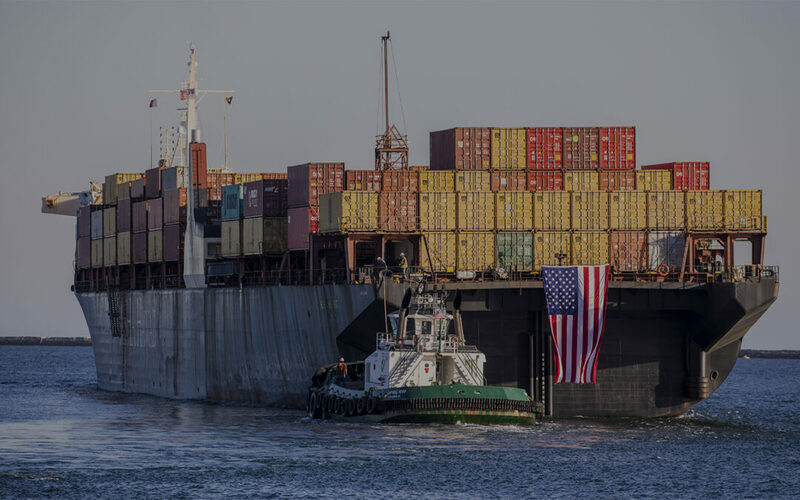 With the US shipbuilding industry constantly under attack from foreign manufacturers, Members of Congress need to know just how important the Jones act is to our economy. 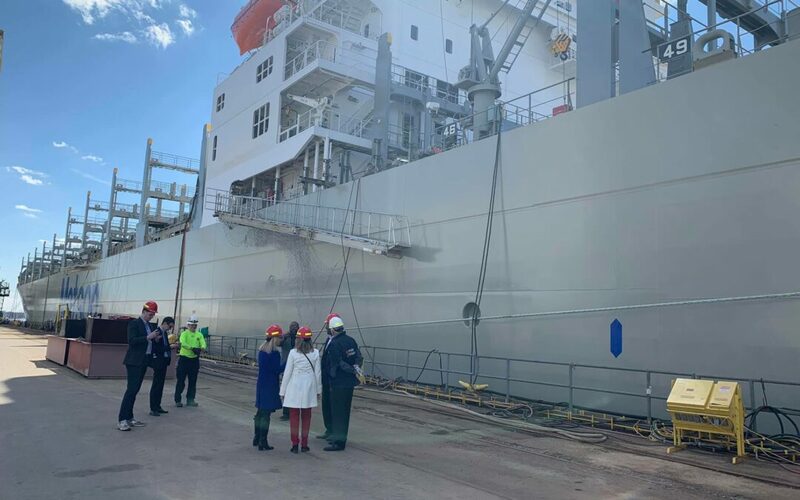 We’re also here to ensure that the Philly Shipyard remains a priority following last year’s layoffs and to ensure that our members who missed payments because of the January shutdown are paid,” said Jimmy Hart, President, Metal Trades Department, AFL-CIO. The Jones Act requires that cargo shipped between two points in U.S. waters be transported on American vessels crewed by American workers. It supports 650,000 American jobs across the United States. The Philly Shipyards decreased its workforce from 1,200 workers to about 400 in 2018. Dozens of Congress Members have already lobbied the Department of Transportation to grant the shipyard a contract. 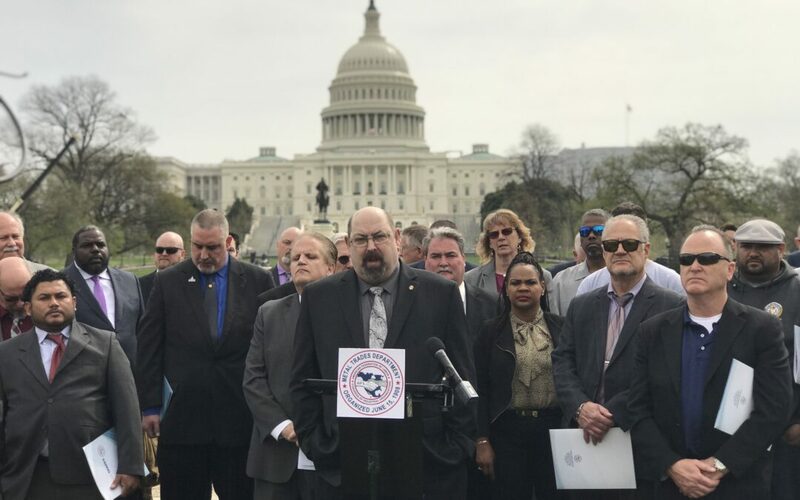 With members traveling from across the country to attend, the Metal Trades Department is hoping to connect with lawmakers and ensure that the key issues impacting their membership are a priority to those serving in Washington. Take Action: Is your Member of Congress Going to Cosponsor the Never Forget the Heroes Act? Find your member of Congress and urge them to join in this effort. Congress must pass the Never Forget the Heroes: Permanent Authorization of the September 11 Victim Compensation Fund Act, to reverse the cuts that the September 11th Victim Compensation Fund (VCF) has announced. The VCF has announced that because of the lack of funds, it will be cutting the compensation for all pending cases by 50 % and all future cases by 70%. This is devasting news to the thousands who of sick and injured 9/11 responders and survivors who have been waiting for years to get the help they need and deserve. Not only will it not have the funds needed to fully pay claims, but the VCF is scheduled to close in December of 2020. That means if you were a 9/11 responder and you become sick with cancer in January of 2021, you will have nowhere to turn. In 2010, after years of delays and facing increasing pressure from 9/11 responders and survivors walking the halls of Congress, Washington finally acted and authorized medical treatment and monitoring as well as economic compensation to those injured at Ground Zero, the Pentagon, and the Shanksville crash site for five years. In 2015, again under pressure from injured and ill 9/11 responders and survivors with overwhelming bipartisan support, Congress passed a new law that made the World Trade Center Health Program permanent so that injured responders and survivors can get the health care that they need. This law also extended the September 11th Victim Compensation Fund for another 5 years. The cuts in compensation that the September 11th Victim Compensation Fund is making comes at a time when the number of people coming forward with illnesses and cancers related to their exposure to toxins at Ground Zero grows every day. When every other day, another 9/11 responder or survivor dies from a 9/11 related cancer. The more than 45,000 people who are in the World Trade Center Health Program are suffering from at least one certified 9/11 condition caused by toxins at Ground Zero, the Pentagon and the Shanksville crash site, while a large percentage have multiple conditions. Over 10,000 of those enrolled in the Health Program have been certified with a 9/11 related cancer, with more being diagnosed every day. Thousands more who have been diagnosed with cancer are only now joining the health program, so these numbers will increase dramatically. It has taken years of effort to get a handle on the size and scope of the health crisis facing so many. The statistics and information we have now were not available in 2010 when the legislation was first passed, or in 2015 during the reauthorization. Now that these facts have become known, and we have a better understanding of the number of people that are sick and dying from their 9/11 exposures, it is up to Congress to act. Congress must provide the funds needed by the VCF so that these potential cuts will not happen—cuts that would impact the lives of those injured and still suffering, as well as the families of those that have died. Remember: it was the Federal government that said the air was safe to breathe. It was also the Federal government that refused for years to take responsibility, to do the research and respond to the health crisis that is facing so many. Given the information we now have on the scope of the health crisis and the potential funding shortfall the VCF faces, it is our hope that Congress will in fact remember 9/11 by providing the needed funds and authorizing a permanent Victim Compensation Fund by passingthe Never Forget the Heroes: Permanent Authorization of the September 11th Victim Compensation Fund Act.